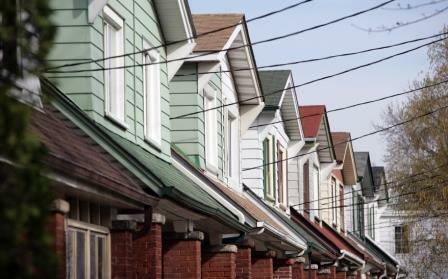 In a statement on Thursday (March 3), the Toronto Real Estate Board (TREB) said that transaction volume in what is considered Canada’s largest housing market went up by 21.1 per cent in February compared to last year. This figure represented 7,621 dealings in that month alone, prompting realtors to conclude that a recent hike on down payments for more expensive homes has not helped in cooling down the Greater Toronto Area market. The regulatory change, which was initially intended to slow down red-hot real estate markets such as Toronto and Vancouver, set the required down payment for homes worth between $500,000 and $1,000,000 at 10 per cent. “Even after accounting for the leap year day, sales were above the previous record for February set back in 2010. Sales were up strongly from the 15th day of the month onward as well, despite the new federal mortgage lending guidelines,” TREB president Mark McLean said in a statement, as quoted by the Financial Post. The activity in Toronto accompanied a growth in housing costs, the latest in a series of continuous price increases that have placed homes beyond the reach of an ever-larger fraction of the Canadian middle class. “With strong sales up against a constrained supply of listings, home prices continued to trend strongly upward,” TREB director of market analysis Jason Mercer noted. The average sale price as of February was $685,278 (up 14.9 per cent from a year ago). Detached homes remain to be among the most expensive properties in the city, selling for an average of $1,211,459 (16.3 per cent greater compared to last year).